Value of card: 400 lbs. John Davis may have been able to lift nearly a quarter-ton, but he couldn't carry a tune. John Davis actually had no idea the guy behind him the stands was imitating him. John Davis was not related to Jim Davis, creator of that delightful "Garfield" comic strip. John Davis picked up a lot of heavy things on stage, but never lifted a finger around the house. 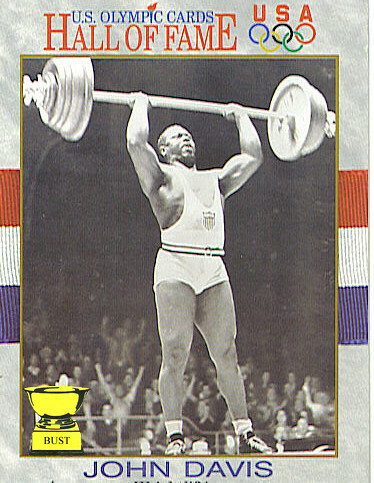 John Davis actually hated weightlifting. He just really liked the little outfits he got to wear.